Suddenly, the National Theatre is beginning to reflect the wider provenance of Great Britain. November saw Rufus Norris’s brimming production of Behind the Beautiful Forevers, David Hare’s adaptation of American journalist Katherine Boo’s Mumbai epic. Now Nadia Fall has taken on Dara, Shahid Nadeem’s original play first staged by Pakistan’s Ajoka Theatre. South Asia has finally arrived on the South bank which isn’t to say that stories from the Indian sub-continent and Pakistan haven’t appeared before on the National’s stages. But it is interesting that the two productions have coincided with the arrival of Norris as artistic director designate and his promise of a programme reflecting diversity. Coincidental, no doubt, since Dara has been two years in the making and was initiated by outgoing AD, Nick Hytner. 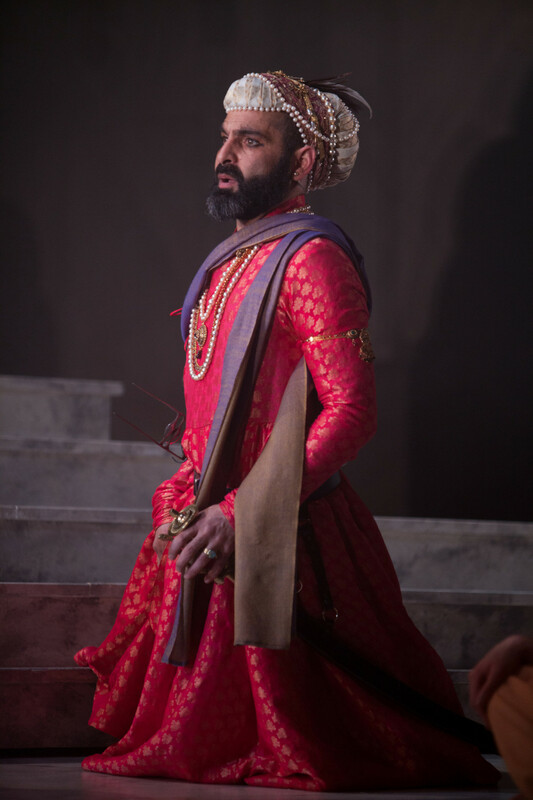 And what an initiative it turns out to be, bringing a slice of Mughal history to the English stage in all its pageantry and mysticism. For this is very much a story of blood, sweat, tears and faith. Like our own Wars of the Roses, there is the struggle for supremacy, power and empire building. 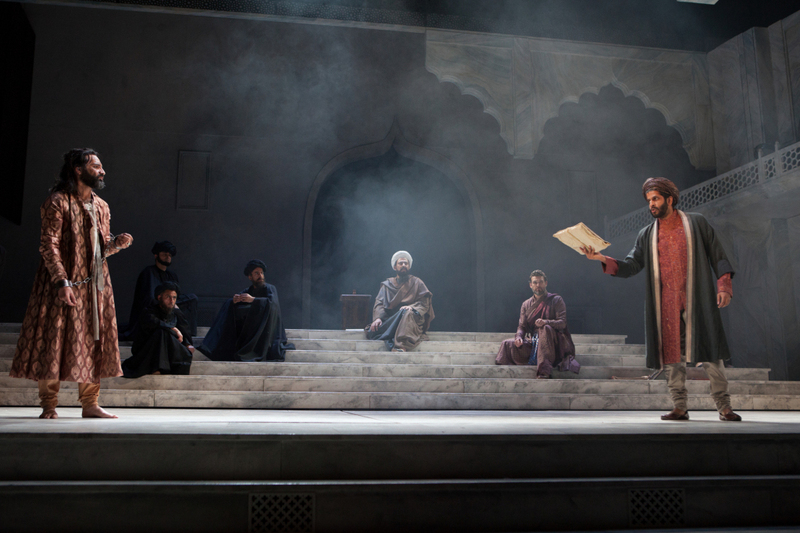 But injected within too is a fascinating exploration of faith and the journey of Dara, the 17th century Mughal prince who died for his belief in Sufism and attempts to reconcile Muslim and Hindu. Director Nadia Fall and designer Katrina Lindsay turn the Lyttelton stage into a setting that conjures up a variety of flavours and spaces from Persian to Indian, from open palaces to intimate private rooms. Filigree screens punctuate the rapid scenes giving a hallucinatory quality as battles rage, brothers fall out and at its centre, Dara, arrested for apostasy is tried in court. At a time when Islam is under scrutiny like never before, the story of Dara gives us a riveting interrogation of its deeper, quieter textures as expressed by Zubin Varla’s impassioned Dara, arguing that the road to God can and should embrace many pathways. True, despite Tanya Ronder’s best efforts, the episodic nature of the storytelling does make the first part of Dara often bemusing. But such is the production and Varla’s amazing performance, this viewer was left enchanted and overwhelmed. This entry was posted in 2015, Reviews and tagged Nadia Fall, National Theatre, Shahid Nadeem, Tanya Ronder, Zubin Varla on February 1, 2015 by Carole Woddis.